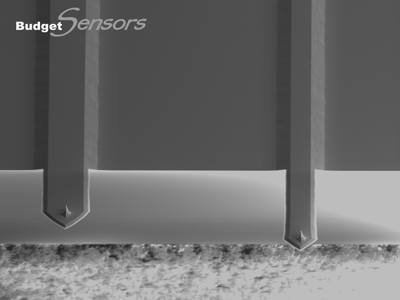 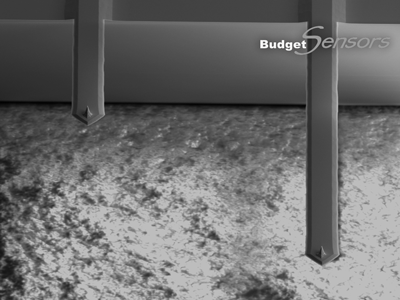 The main advantage of this product compared to regular, single-cantilever AFM probes is the freedom to choose in the very last moment the right cantilever for each application. 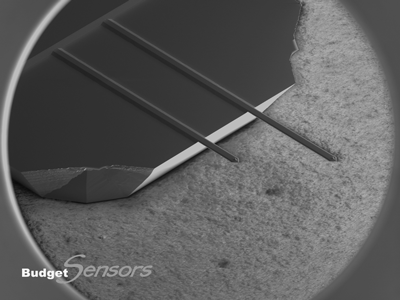 You dont need to stock various AFM Probe types any more. 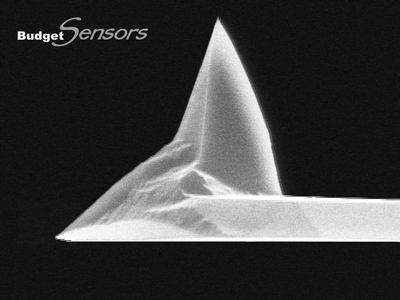 Nevertheless, this product is not meant as a substitution to comparable single-cantilever AFM probes, because the geometry of each one of the ElectriAll-In-One cantilevers differs from the geometry of comparable specialized single-cantilever AFM probes.